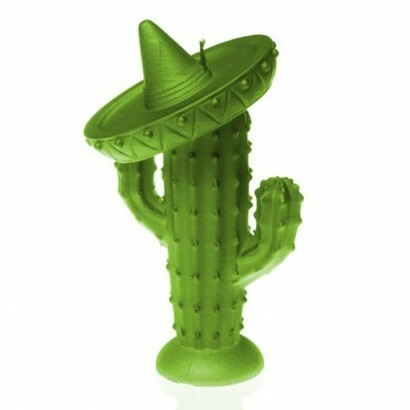 Topped with a wide brimmed sombrero hat, this saguaro cactus looked all set to fiesta! 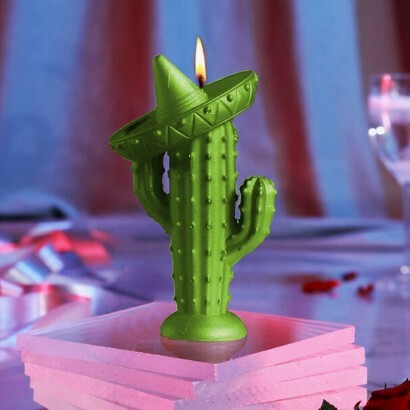 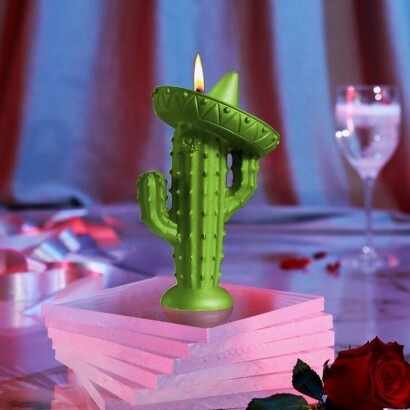 Brightly coloured in vibrant lime green, this kooky candle gives you all the Mexican feels as the cactus appears to tip it's hat in a playful greeting as it stands flowering in full bloom. 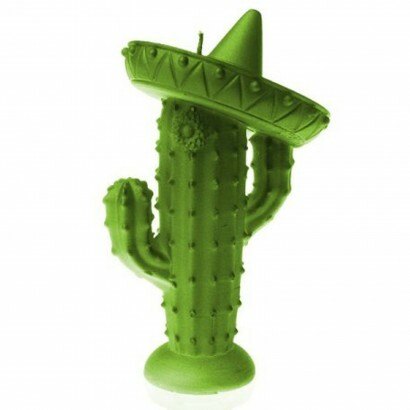 Made from paraffin wax, this "divertido" candle stands at 18cm tall and has a fab 30 hour burn time.